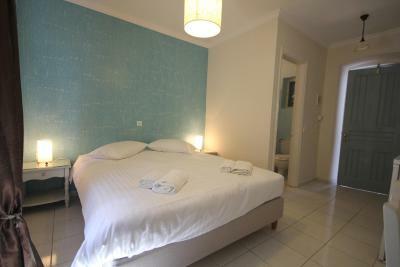 Lock in a great price for Alkionides Pension – rated 9.1 by recent guests! Very large room, lovely amenities, electric kettle, fridge, etc. 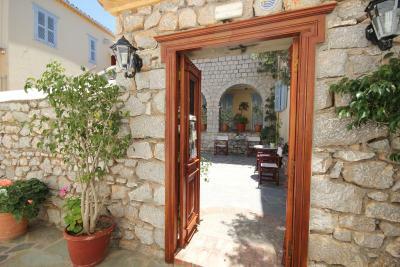 The pensione is a short distance from the port and within reach of everything Hydra. Stella prepared a beautifully balanced breakfast for us each morning. Quiet patio where we conducted most of our WiFi work. Very comfortable. 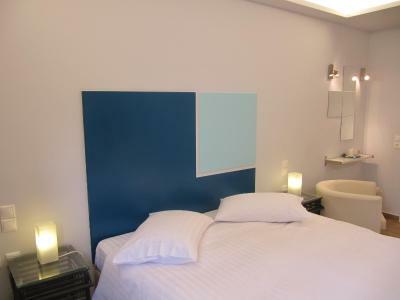 We loved our quiet little corner apartment in Hydra. Out of the harbor wind and noise but still so close. Stella was very helpful and kind. 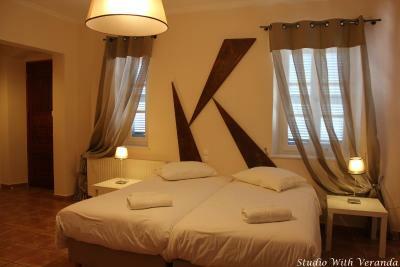 We would stay here again and share this sweet place with our friends as well! 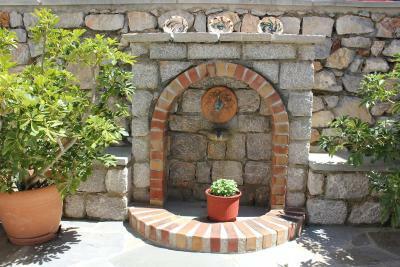 Quiet, close to the harbor (no steps to reach the hotel), lovely courtyard with good, free breakfast, nice staff. Very quiet, and the owners were very kind. We got delayed by the ferry strikes and came in late at night - it was no problem! Lights were on and it was easy to find. 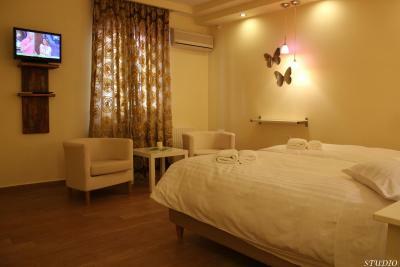 Relaxed comfortable & good location. Host was very accommodating. 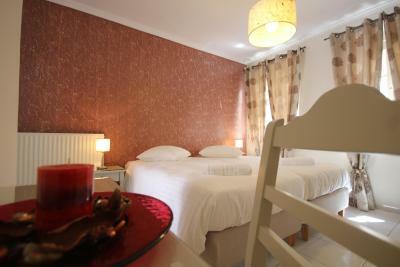 Wonderful pension, very close to the harbor. 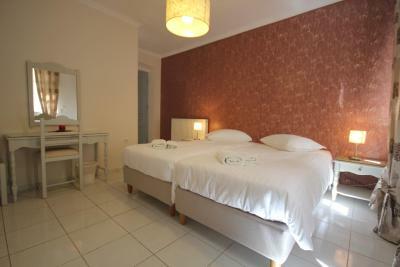 Spacious room, very clean with comfortable beds. A really nice patio is available for all the rooms. 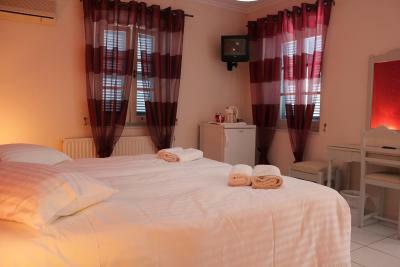 Fabulous room, location and staff. Would stay here in a heartbeat. We had the room with private balcony. Location was excellent!! Easy access to shops & restaurants. The owner was really nice and helpful! 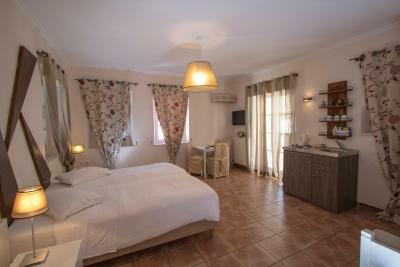 Great location, really near to the port and right in the town center, lots of nice taverna around. One of our best sellers in Hydra! 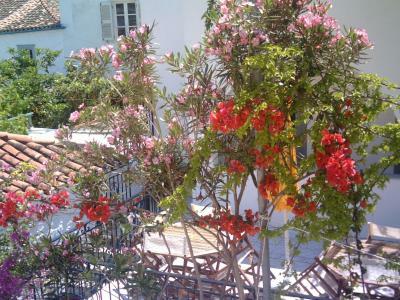 Only 400 feet from Hydra Port, Alkionides Pension is located in a stone-paved courtyard with flowers. 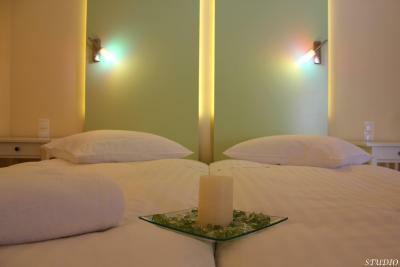 It offers air-conditioned accommodations with free Wi-Fi. Some units come with a kitchenette. 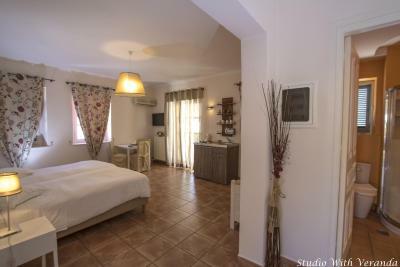 All rooms and studios open to a patio with garden view. 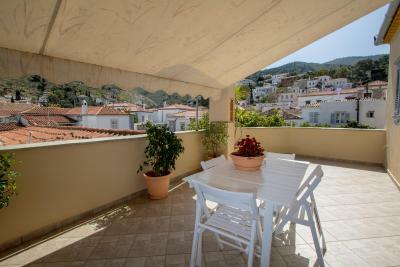 Some also include a terrace overlooking the scenic Hydra Town. 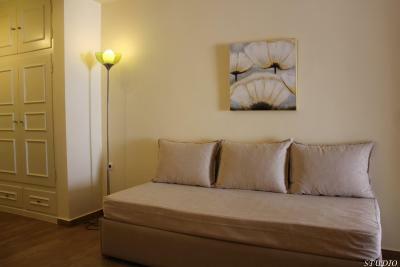 Featuring tiled floors and modern furnishing, each unit has a flat-screen TV and fridge. A kettle along with tea-and-coffee-making facilities is provided. Ingredients including jam, honey, juice and biscuits are also provided so that guests can prepare their breakfast themselves. 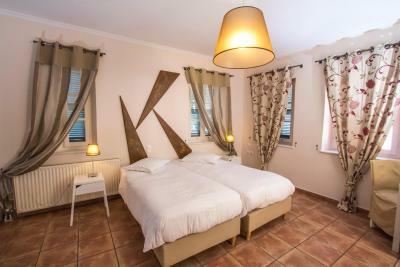 Alkionides is only 1,650 feet from the pebbled Spilia Beach, while local taverns and bars can be found within a 3-minute stroll. Water taxi rentals are possible from the port, in order to transfer you to nearby beaches. Hydra is only 1.5 hours from Piraeus by hydrofoil. 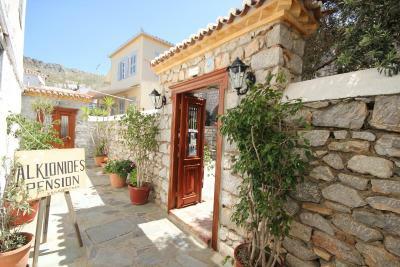 This property is also rated for the best value in Hydra! Guests are getting more for their money when compared to other properties in this city. 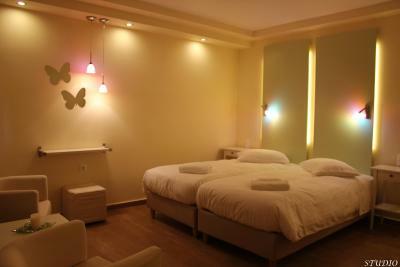 뀐 Located in the top-rated area in Hydra, this property has an excellent location score of 9.6! 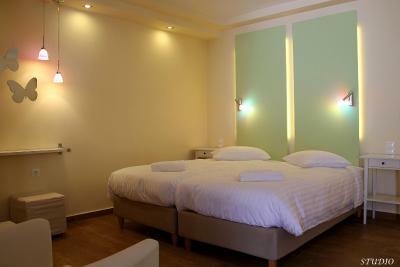 When would you like to stay at Alkionides Pension? Featuring a kitchenette with hot plate and fridge, this studio has a patio opening to the grounds. 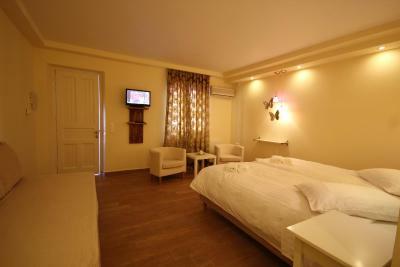 It also has air conditioning, flat-screen TV and free Wi-Fi. Tea-and-coffee-making facilities are available. This air-conditioned room has a patio opening to the grounds. 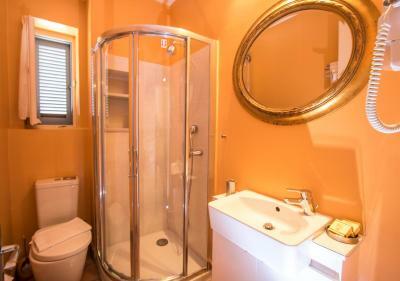 It has a flat-screen TV and tea-and-coffee-making facilities. Free Wi-Fi is also available. 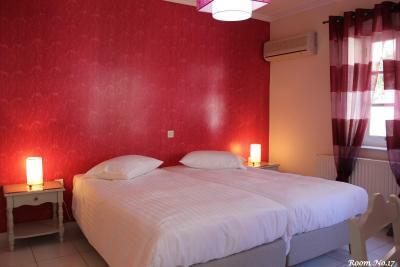 This triple room has air conditioning, soundproofing and tile/marble floor. House Rules Alkionides Pension takes special requests – add in the next step! Alkionides Pension accepts these cards and reserves the right to temporarily hold an amount prior to arrival. Our room did not connect well to WiFi. But we had the room at the end of the hall. Facilities very good. Very supportive staff. Very good breakfast on offer. 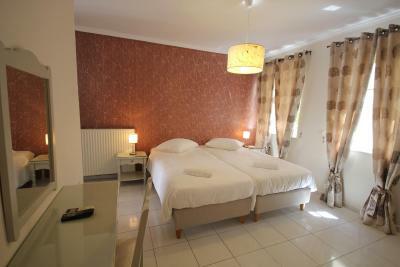 It's in a great location, with a very easy walk to the port, all the restaurants and bars. 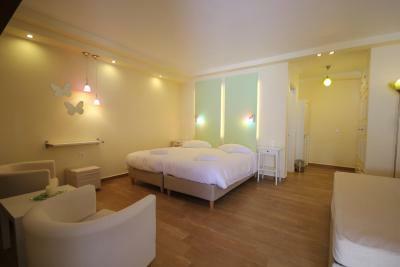 The room we had was very spacious, comfortable and clean. It's quiet so we could sleep in and we felt really looked after by the owners. We were affected by a ship strike and luckily in the days before we came they really helped us to make our way to Hydra! 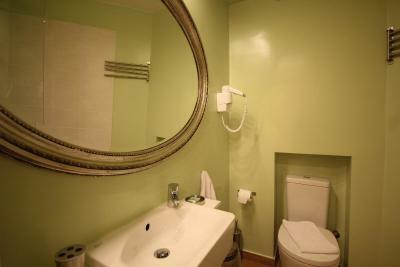 Very short walk from ferry and close to many restaurants and bars. 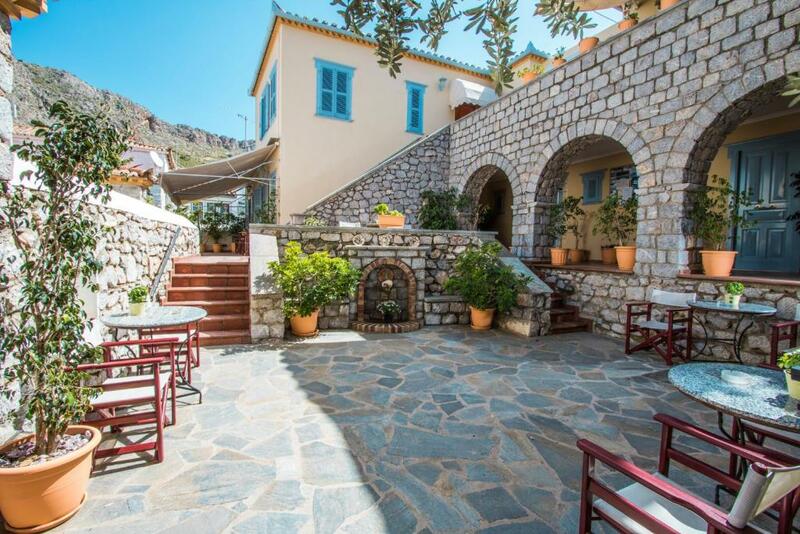 Lovely courtyard where Stella and her husband serve a great breakfast in a peaceful setting. 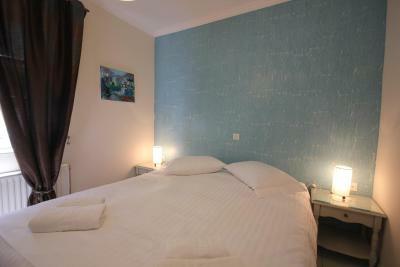 Excellent value for money place to stay. 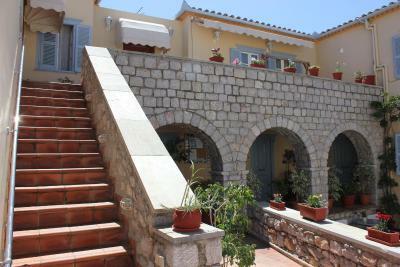 The location of the property is superb being near the harbour and no climbing of steps involved. 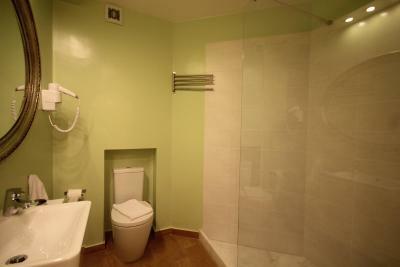 The property was spotless both in the bedroom and bathroom. Fridge is provided as well as tea coffee making facilities. Stella serves a substantial breakfast. It's location is excellent. It's near everything in a quiet area. Would love to return.